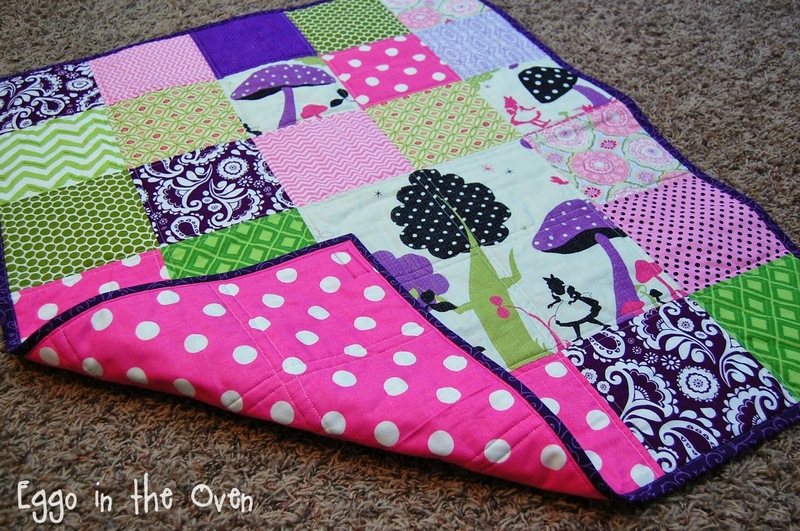 A customer recently contacted me about sewing up an Alice in Wonderland baby quilt. Something simple but cute. 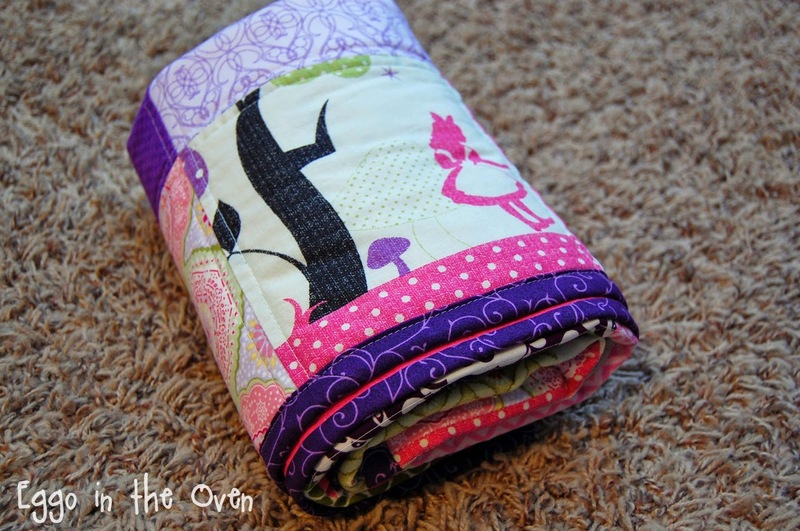 I found a cute border print that she loved and placed the fabric order. We were working with a pretty tight timeline - but that's okay! 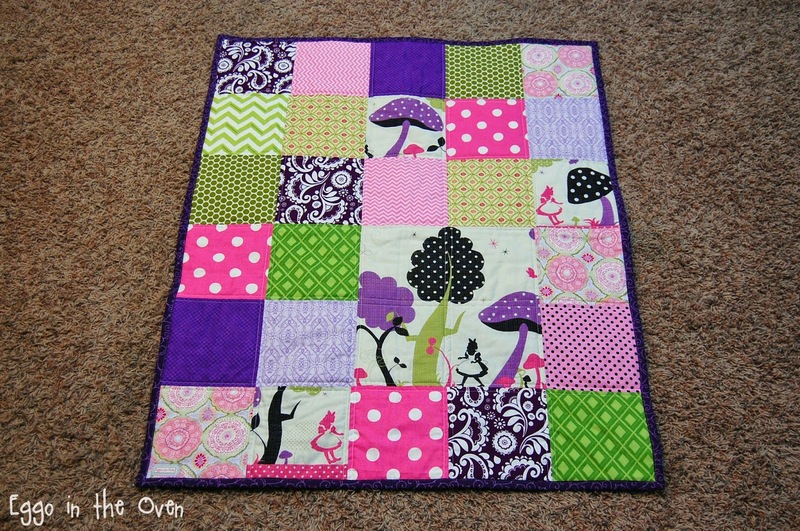 The fabric arrived Friday and by Sunday night I had a finished quilt! I'm loving how it came together. 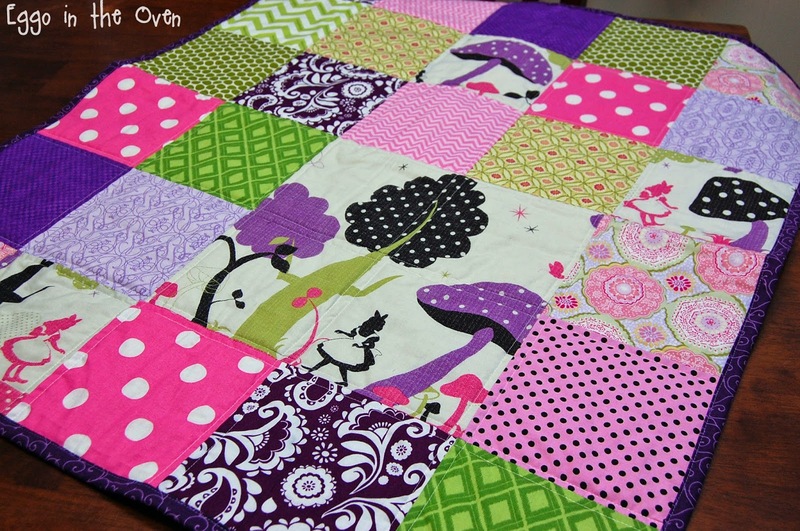 I used squares cut from the Alice fabric and then various fabrics with purples / pinks / lime greens in them from my stash - including a few last pieces of favorite "scraps" I just couldn't get rid of - perfect! The quilt measures about 30" x 36" (give or take a little). I did a very small amount of straight line quilting - about 3/8" off of each seam - to give it some texture and hold all the layers together. It is in the mailbox to head to my customer this morning! 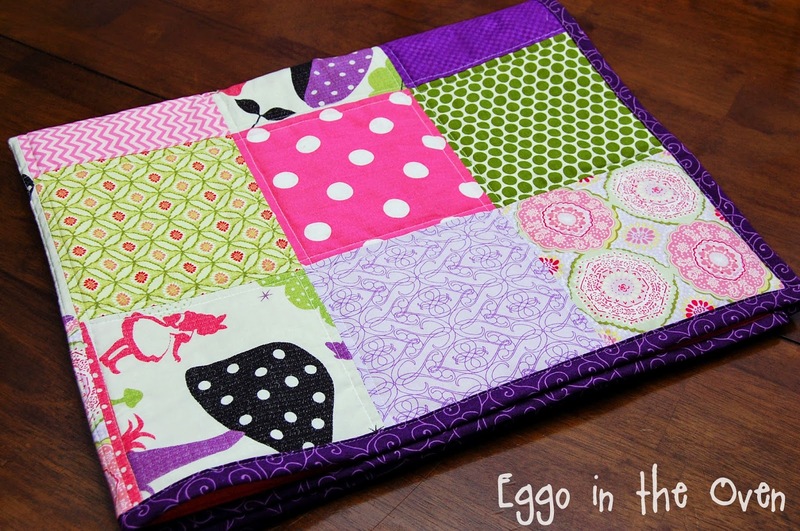 After a wash or two this one is going to soften up and just be the perfect little snuggly blanket! 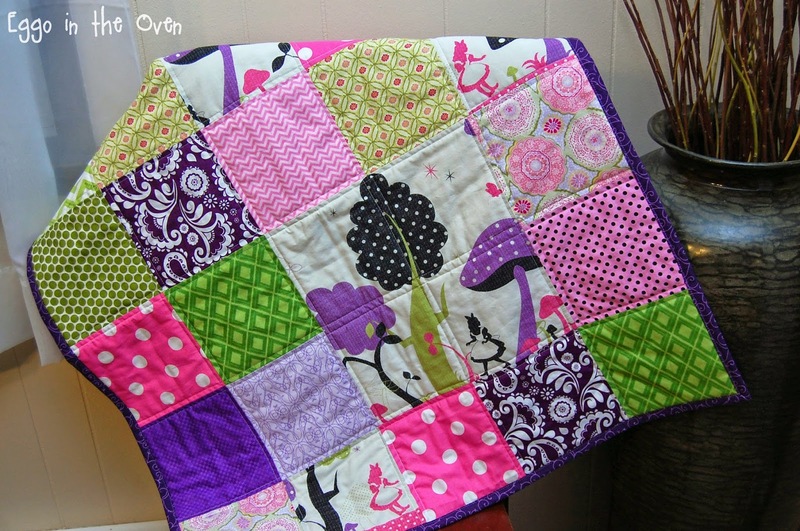 Kim, this quilt is gorgeous! Send me your alice scraps!! !